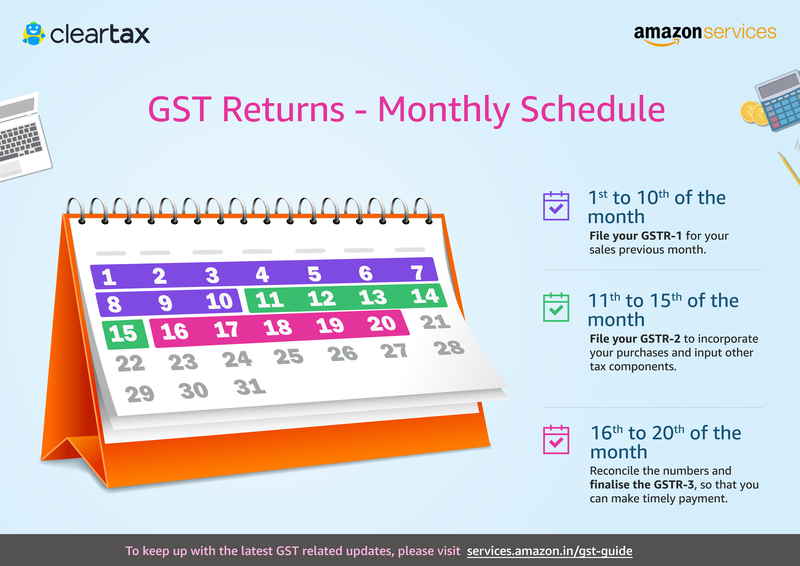 If you are a seller on amazon.in and you use 'ClearTax Biz', the process of filing GST returns is much simpler, as the Seller Central’s (selling account for sellers on Amazon) Merchant Transaction Report (MTR) can be directly uploaded on the ClearTax portal for the filling of GSTR-1. Additionally, sellers can upload the excel file with details of their purchases and the ClearTax Biz service will help reconcile the submissions/returns, to support filing of GSTR-2. This will help sellers on amazon.in in timely submission of various monthly returns under GST. To answer other GST related queries, please visit our A to Z GST guide. Disclaimer: By using ClearTax Biz or any related product/service ("Product"), you agree that the Product is provided by Defmacro Software Private Limited, to the complete exclusion of Amazon Seller Services Private Limited ("Amazon"). Amazon makes no representation, warranty or guarantee as to the accuracy, quality, completeness, timeliness or reliability of the Product or its features. Amazon hereby disclaims all liability and assumes no responsibility whatsoever for consequences resulting from your use of or reliance on the Product. You acknowledge and undertake that you will use your best and prudent judgment before using the Product and will use the Product in your sole discretion and at your own risk.